MOSCOW, December 26. /TASS/. 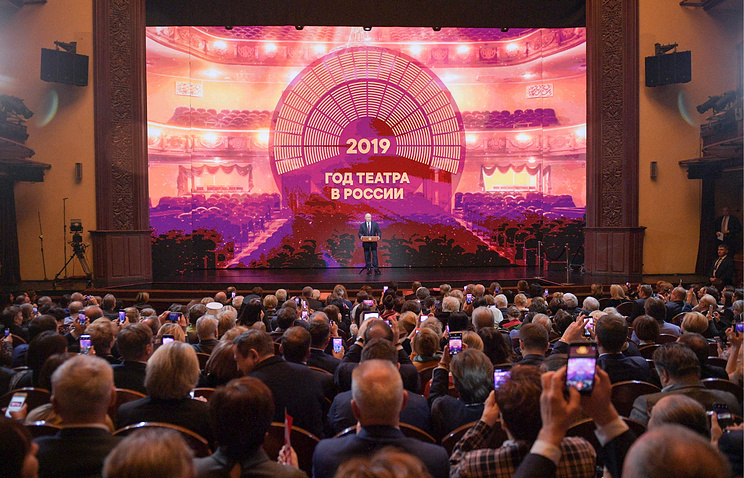 The schedule of the Year of Theater, to be marked in Russia in 2019, will include more than 2,600 events, Russian Deputy Culture Minister Pavel Stepanov said. “At the moment, the schedule includes over 2,600 events at more than 500 platforms. Over 600 cultural institutions have joined, and I expect their number to grow further,” he said. The official expects the audience of Russian theaters to grow by at least ten percent next year, compared to current figures. In line with the presidential decree, year 2019 was declared the Year of Theater in Russia. Hey Buddy!, I found this information for you: "Over 2,600 events included in Russia’s Year of Theater schedule — ministry". Here is the website link: https://russophile.org/over-2600-events-included-in-russias-year-of-theater-schedule-ministry/. Thank you.